Mark Goodfield is a Canadian income tax expert who shares his insights and knowledge about the Income Tax Act, and that makes him rather unique. There are countless consumer blogs and political pundits and even a few good government blogs, but Mark is the first income tax expert blogger I’ve come across. More accurately, he’s a financial blogger who reports facts, statistics and strategies to help his readers pay the least amount of income tax to the taxman. The Blunt Bean Counter focuses on income tax, business and investing topics and is meant for taxpayers no matter their income bracket, but in particular for high net worth individuals and entrepreneurs who own private corporations. 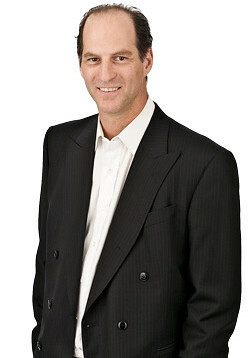 Mark Goodfield is a chartered accountant with over twenty five years of experience at four different firms. He’s studied the science of taxation for a long time, and his unique perspective on investing and tax accounting transforms his posts into fascinating firsthand accounts of how tax affects people and business in Canada. 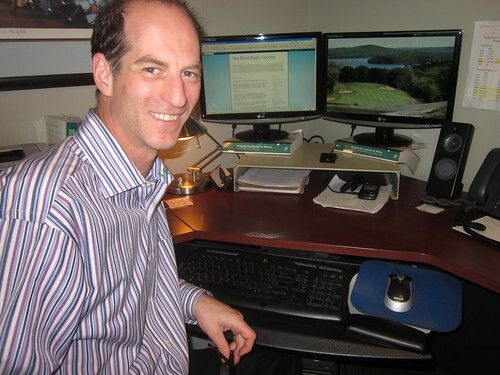 In his own bio on Blogger, Mark writes, I’m a sports fan, avid traveler, epicurean and accountant. I hope my blog can teach you a couple of things you didn’t know about building wealth and that you’ll indulge me as I wander into topics close to my heart / stomach. It’s no coincidence the top book on his favourites lists is Ayn Rand’s The Fountainhead. Much like Howard Roark, the protagonist who chooses to struggle in obscurity rather than compromise his artistic and personal vision, Mark Goodfield chooses to express his creativity in what most folks would consider a tedious niche. His uncompromising principles and attention to detail are obvious right in his very first post. Mark started his blog in September 2010 with a first post entitled, Let’s See Where This Goes. He described his background and his choice of the word ‘blunt’. He writes, I am an accountant, but not a classic bean counter. I have tried to move away from being a bean counter every step of the way. I quickly switched from counting beans to calculating tax and then I happily became managing partner and moved into quarterbacking our clients’ wealth management advisors. But I can’t hide from it, I am an accountant. In his own biography, Mark relates how it happened that …one summer in the late 1970’s I worked for my father, an accountant, to make money for a trip to Europe. To my father’s consternation (he was asked to try out for the Cleveland Indians but became an accountant instead due to family circumstances) I continued along the path of becoming a Chartered Accountant. Along the way Mark moved from accounting to income tax. He transitioned from a Big 4 firm (PWC) to a boutique firm, to a two person partnership, and finally to Cunningham LLP North York accountants as the managing partner, and in charge of their Wealth Management division. Mark Goodfield is not a greedy guy, just the opposite – he’s super generous with his time, information and money. He’s a Big Brother, and has acted on the Investment Committee for the Reena Foundation, and has been involved in the Make A Wish Foundation on a committee level, and as a wish grantor alongside his wife. Together they intend to grant more wishes in the years to come. What is a Tax Blog? Mark’s most popular blog post is his piece on the Canada Revenue Agency CRA Audit- Will I Be Selected? The Blunt Bean Counter answers common questions like How Long Do I have To Keep My Income Tax Records? And the little-known benefits of filing income tax returns for your children. He delves into education in At Least My Kid Does Not Go To School In The States. And discusses David Trahair’s Smoke and Mirrors in which this DIY investing author and well known speaker debunks myths about retirement savings. In the post entitled Taxing the family unit, Harper almost got it right Mark Goodfield compares Canadian and US taxation models. Its here in this post where he writes the line, …This sighting of a T5013, was rarer than sighting the Ivory-Billed Woodpecker. And of course this income tax blogger wrote a dissertation on both government’s fiscal preparations, the 2011 Ontario non budget and Finance Minister Joe Flaherty’s Budget or what Mark calls the Federal 2011 Yawn. As a chartered accountant, Mark deals on a daily basis with the tracking of money, saving money and the spending of money; he thus has a unique perch to observe human nature in respect to these activities. Some of Mark’s best blogs relate to the psychology of money. In fact Rob Carrick of the Globe in Mail in his online Reader column has recommended several of Mark’s blog posts dealing with the psychology of money including: The Kid in the Candy Store: Human Nature, RRSP’s, Free Cash and the Holy Grail, Investment Bravado, Little White Lies and Why Kiss and Tell Investing can get you shot and One Big Happy Family- Until We Discuss the Will. As a CA Mark cannot provide investment advice, however, he openly discusses his investing mishaps and provides information on websites of interest for investors. Mark is especially blunt when it comes to talking about investing; no little white lies are allowed on this subject. Keeping the market interesting justifies our interest in it and, by extension, validates our collective social financial activity and identity. Not only do we need to like to feel good about ourselves, we would rather hear sketchy hyperbole from borderline sources than bad news from an honest one. 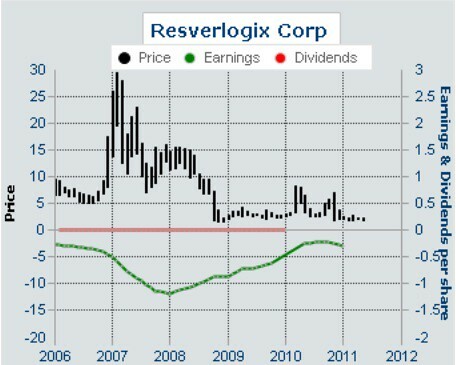 Mark wrote a heartfelt piece in which he described his experiences as an investor in Resverlogix, A Cautionary Tale. This piece was picked up as an article by the prestigious US website Seeking Alpha. The Blunt Bean Counter is a valuable resource for all taxpayers, businessmen, entrepreneurs and investors. On many levels, this blog chronicles how taxation affects life in Canada. Hi… I like the way you have written this post about Mark Goodfield. I have his book. I would also like to share my story on this blog. Will you post it?